Misc: 5 BR, 5.5 BA Luxury Property with 4,330+/- sq. 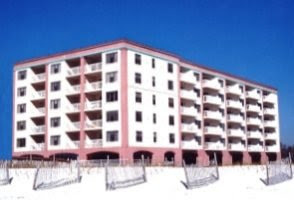 ft.
Orange Beach Condo for sale at Opal. Privacy and luxury, with exceptional views from every room in this beachfront luxury residence Featuring tile flooring with 2 natural gas fireplaces, this condominium home in the heart of Orange Beach is a must see. This home has never been occupied, the development was built with the discerning buyer in mind and has Subzero and Wolf appliances, Poggenpohl Cabinets, and fixtures from Kohler and Grohe. The Master Bathroom has an infinity soaking tub, steam shower, dual vanities and a walk through closet. Each unit at Opal occupies an entire floor and has a front door elevator and a service elevator. The community is private, gated, low-density, rental restricted, and well kept. It has an indoor pool and zero entry outdoor pool, owner’s poolside entertaining kitchen, exercise facility, grilling area and more.